It has been a while since I’ve treated myself to some Häagen-Dazs goodness, but oh was it worth the wait. 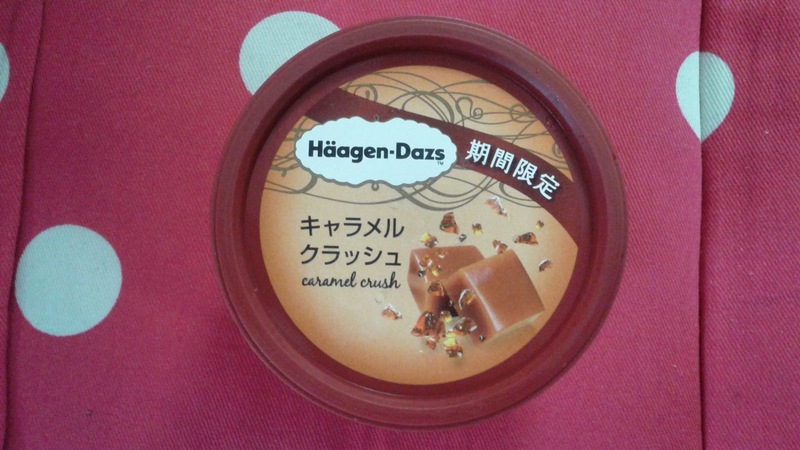 Caramel Crush is divine, not too sweet, and with a perfect smattering of crushed caramel pieces throughout the tub. I paired it with Graham Norton’s recent episode with Hugh Jackman, Michael Fassbender, and James McAvoy – who are all as hilarious as they are charming – on the couch, and it was a match made in heaven. Belly laughs and ice cream – what more could a girl possibly want? Love you all so much! I highly recommend seeing that episode of the Graham Norton Show if you haven’t yet! And please don’t worry, I am very well and still eating lovely Japanese treats. Sounds delicious, I much prefer caramel to chocolate. “Caramel Crush” to words that most definitely appeal.. 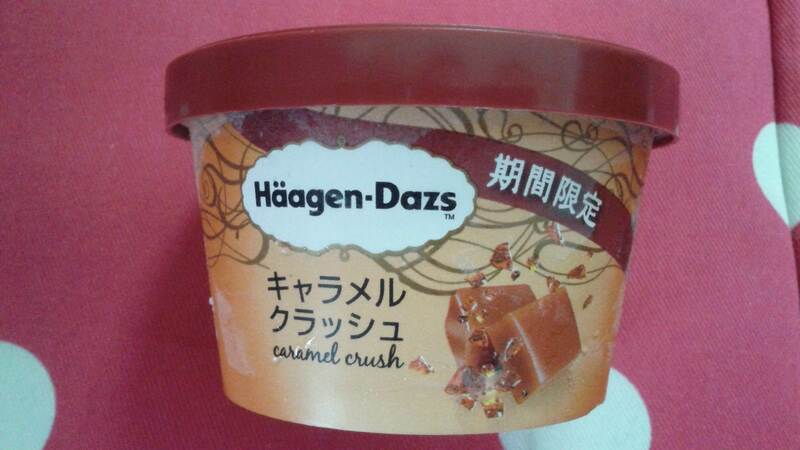 I seriously have a huge ‘crush’ on all things Haagen Dazs! Have a fabulous week, luv. 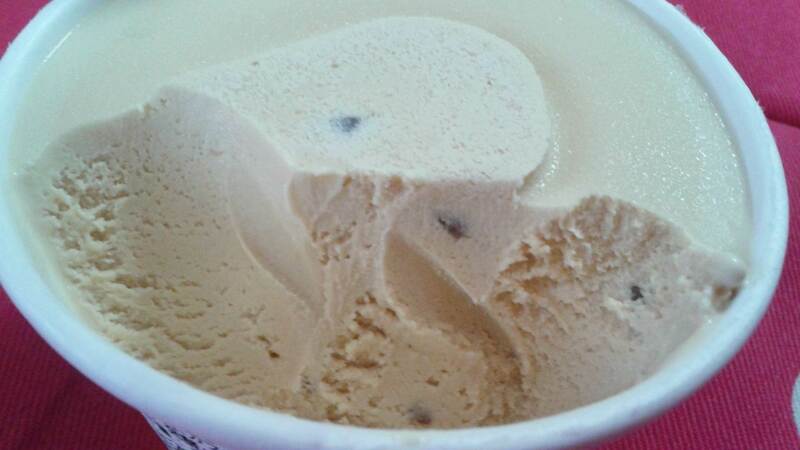 I could deff do with some ice-cream right now!! YUM! 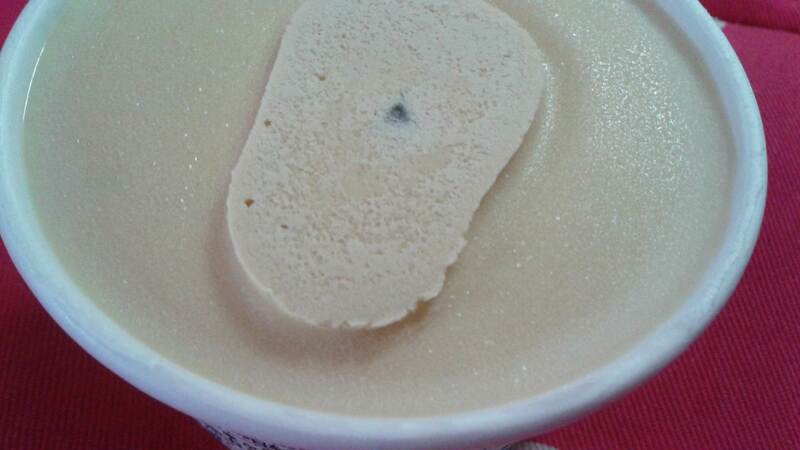 I just bought a Häagen-Dazs dulce de leche ice cream and it had a thick ribbon inside, so looking at those caramel crunch bits—MMMM!! !